The meeting of nature and civilization is more like a collision and it is loud. The collision of condos and night clubs is loud. The collision of SXSW and Austin is loud. The collision of artist and businessman is loud. The collision of art and commerce is loud. 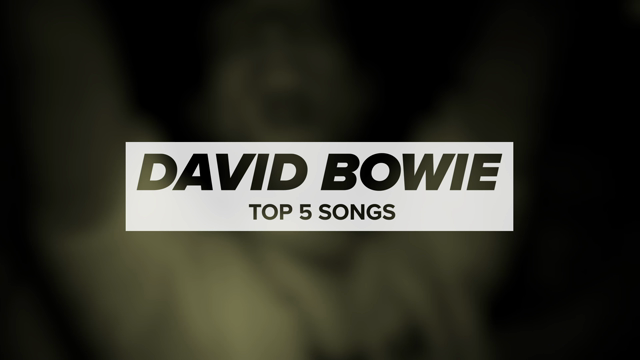 Echotone is loud, and is another music documentary that should be played loud. Directed by Nathan Christ and photographed by Robert Garza, Echotone is a multifaceted and pragmatic look at the music wheel in Austin, TX and its many, many spokes. 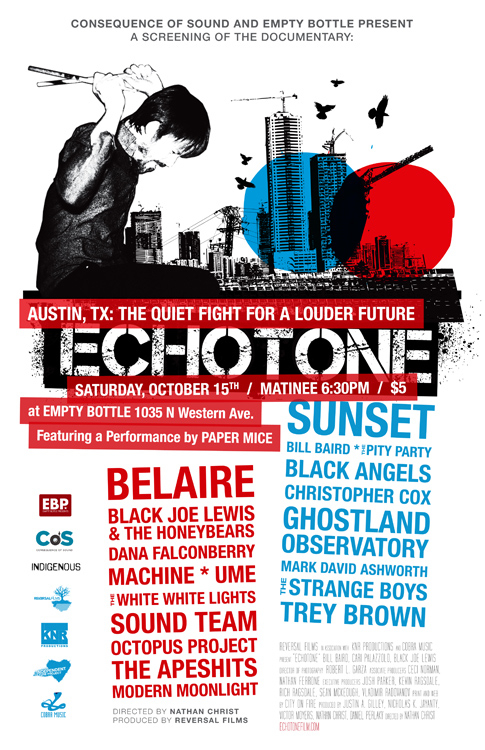 Consequence of Sound and The Empty Bottle are proud to be able to present an exclusive screening of Echotone in Chicago at The Empty Bottle on October 15th at 6:30 p.m. Five dollars will get you a ticket to the movie and an opportunity to catch a performance by prog-punk maniacs Paper Mice after the screening. This is a really exciting movie that resonates just as loudly on 7th Street in Austin as it does down Milwaukee Ave. here in Chicago, as evidenced by Christ readying production of a sister documentary on Chicago, as well as five other cities. Couple that with the recent news of Austin music mainstay Emo’s shutting down and this documentary really cuts to the quick. Tickets are on sale at The Empty Bottle’s website and keep an eye on CoS‘s Twitter and Facebook pages for some nifty giveaways including posters, DVDs, and tickets in the coming week. Check out the trailer for Echotone above, and cop the soundtrack for the film featuring Black Joe Lewis & The Honeybears, Sunset, Belaire, The Black Angels, Ghostland Observatory, and many more.